The “Maja” company from Częstochowa is a leading manufacturer of endings for window sills in Silesia. As a company specializing in this narrow range of production, we are sure that the product offered by us will meet the highest quality standards. Our employees are characterized by high professionalism and make every effort to gain your approval and satisfaction. We sell both retail and wholesale. We offer excellent quality products made of the highest quality materials. Our clients can choose endings for window sills from a full range (RAL), using the opportunity of really affordable and competitive prices! In our offer you will find all types of endings for external and internal window sills. In the case of internal endings, we offer you end caps for window chambered sills and renovation overlays, which are made of plastic As far as external terminations are concerned, we propose endings for smooth external window sills, soft type or ending for external window sills. In addition, our offer is rich in various smaller parts and accessories. The sills we offer for window sills, which improve drainage and allow for a long time to effectively protect the façade of the house. In our offer you will also find connectors for internal and external window sills. All fasteners are double-sided and are perfect for realizing the combination of frontal and angular connections. We also offer a wide range of end caps for window sills. 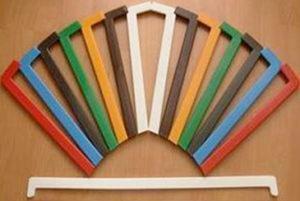 They are used for mounting on old window sills, made of various materials. They enable renewing the window sill, while maintaining its aesthetic appearance. Our offer is completed with plugs and window sill caps. All the sill window end caps we offer have the highest quality and durability in use. We offer blind plugs in wholesale and retail sales. We invite companies (in particular window-sillers) and as well individual clients who will be able to tailor the endings to their needs.